Studio Reel to Reel tapes. Video Image productions are at present digitising Studio reel to reel tape. 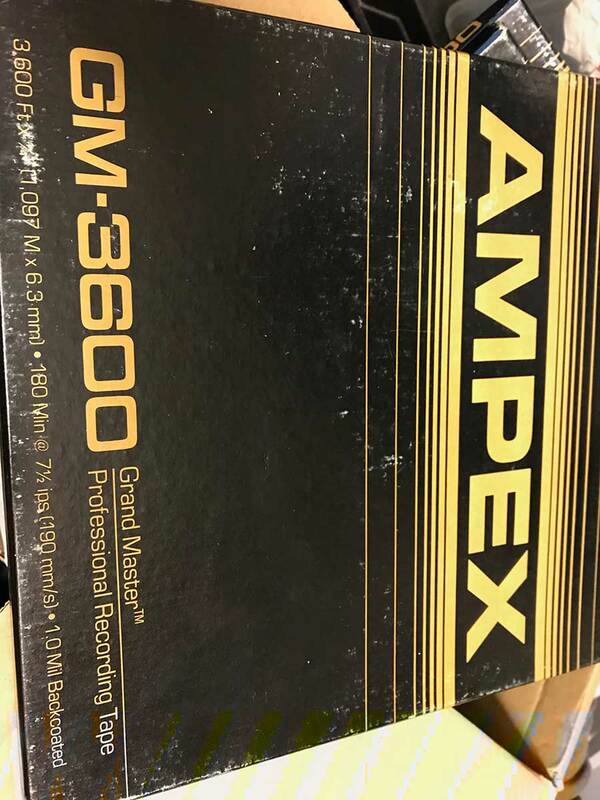 This Ampex tape was originally recored at BBC studios at a speed of 15 Inches per second. This speed is one the highest quality setting for audio reel to reel tape recording. The feed out on our Ferrograph Logic 7 reel to reel tape machine, is then fed to our Sapphire audio converter which is firewire connected to our Apple Mac computer and digitised to the highest possible quality of 96 K and 48 BITRATE. In this instant the customer wants the final files as .WAV files for PC editing. These files will be transferred onto a USB memory stick which will be provided by us. we also provide a Cassette tape to USB memory stick service. More information on audio reel to reel transfer.